Does PSN ID change affect platinum trophy hunt? 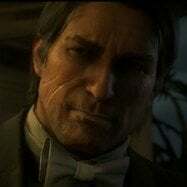 Does anyone on ps4 know what will happen to my progress and trophies on RDR2 if I change my psn id? Just don’t want to screw over my progress towards platinum as I’m still getting all the single player trophies. To further clarify, ALL GAMES released after April 2018 were already programmed in mind for PSN ID changes, RDR2 is one of those titles. There's been reports of potential issues on GTAV though.